Dr. Prabhala’s research sparked my interest and led me to a search for current information on vitamin D, how it works, how much we really need and how we get it. The following is a small part of the important information that I found. Any discussion of vitamin D must begin with the discoveries of the Canadian-born dentist Weston A. Price. In his masterpiece Nutrition and Physical Degeneration, Dr. Price noted that the diet of isolated, so-called “primitive” peoples contained “at least ten times” the amount of “fat-soluble vitamins” as the standard American diet of his day. Dr. Price determined that it was the presence of plentiful amounts of fat-soluble vitamins A and D in the diet, along with calcium, phosphorus and other minerals, that conferred such high immunity to tooth decay and resistance to disease in nonindustrialized population groups. Today another Canadian researcher, Dr. Reinhold Vieth, argues convincingly that current vitamin D recommendations are woefully inadequate. The recommended dose of 200-400 international units (IU) will prevent rickets in children but does not come close to the optimum amount necessary for vibrant health. According to Dr. Vieth, the minimal daily requirement of vitamin D should be in the range of 4,000 IU from all sources, rather than the 200-400 currently suggested, or ten times the Recommended Daily Allowance (RDA). Dr. Vieth’s research perfectly matches Dr. Price’s observations of sixty years ago! Ultraviolet (UV) light is divided into 3 bands or wavelength ranges, which are referred to as UV-C, UV-B and UV-A. UV-C is the most energetic and shortest of the UV bands. It will burn human skin rapidly in extremely small doses. Fortunately, it is completely absorbed by the ozone layer. However, UV-C is present in some lights. For this reason, fluorescent and halogen and other specialty lights may contribute to skin cancer. UV-A, known as the “tanning ray,” is primarily responsible for darkening the pigment in our skin. Most tanning bulbs have a high UV-A output, with a small percentage of UV-B. UV-A is less energetic than UV-B, so exposure to UV-A will not result in a burn, unless the skin is photosensitive or excessive doses are used. UV-A penetrates more deeply into the skin than UV-B, due to its longer wavelength. Until recently, UV-A was not blocked by sunscreens. It is now considered to be a major contributor to the high incidence of non-melanoma skin cancers. Seventy-eight percent of UV-A penetrates glass so windows do not offer protection. The ultraviolet wavelength that stimulates our bodies to produce vitamin D is UV-B. It is sometimes called the “burning ray” because it is the primary cause of sunburn (erythema). However, UV-B initiates beneficial responses, stimulating the production of vitamin D that the body uses in many important processes. Although UV-B causes sunburn, it also causes special skin cells called melanocytes to produce melanin, which is protective. UV-B also stimulates the production of Melanocyte. The reason it is difficult to get adequate vitamin D from sunlight is that while UV-A is present throughout the day, the amount of UV-B present has to do with the angle of the sun’s rays. Thus, UV-B is present only during midday hours at higher latitudes, and only with significant intensity in temperate or tropical latitudes. Only 5 percent of the UV-B light range goes through glass and it does not penetrate clouds, smog or fog. Because the body needs 30-60 minutes to absorb these vitamin-D-containing oils, it is best to delay showering or bathing for one hour after exposure. The skin oils in which vitamin D is produced can also be removed by chlorine in swimming pools. Latitude and altitude determine the intensity of UV light. UV-B is stronger at higher altitudes. Latitudes higher than 30° (both north and south) have insufficient UV-B sunlight two to six months of the year, even at midday. Latitudes higher than 40° have insufficient sunlight to achieve optimum levels of D during six to eight months of the year. In much of the US, which is between 30° and 45° latitude, six months or more during each year have insufficient UV-B sunlight to produce optimal D levels. In far northern or southern locations, latitudes 45° and higher, even summer sun is too weak to provide optimum levels of vitamin D.  A simple UV-B meter is available to determine UV-B levels where you live. What my research on vitamin D tells us is that unless you are a fisherman, farmer, or otherwise outdoors and exposed regularly to sunlight, living in your ancestral latitude (more on this later), you are unlikely to obtain adequate amounts of vitamin D from the sun. Historically the balance of one’s daily need was provided by food. Primitive peoples instinctively chose vitamin-D-rich foods including the intestines, organ meats, skin and fat from certain land animals, as well as shellfish, oily fish and insects, all which are highly acidic and compromising to the blood and interstitial fluids. Today, based upon my research all of these foods are unacceptable to the modern palate and are highly acidic. For food sources to provide us with D the source must be sunlight exposed. With exposure to UV-B sunlight, vitamin D is produced from fat in the fur, feathers, and skin of animals, birds and reptiles. Carnivores get additional D from the tissues and organs of their prey. Lichen contains vitamin D and may provide a source of vitamin D in the UV-B sunlight-poor northern latitudes. Vitamin D content will vary in the organs and tissues of animals, pigs, cows, and sheep, depending on the amount of time spent in UV-B containing sunlight and/or how much D is given as a supplement. Poultry and eggs contain varying amounts of vitamin D obtained from insects, fishmeal, and sunlight containing UV-B or supplements. Fish, unlike mammals, birds and reptiles, do not respond to sunlight and rely on vitamin D found in phytoplankton and other fish. Salmon must feed on phytoplankton and fish in order to obtain and store significant vitamin D in their fat, flesh, skin, and organs. Thus, modern farm-raised salmon, unless artificially supplemented, may be a poor source of this essential nutrient. Modern diets usually do not provide adequate amounts of vitamin D;  partly because of the trend to low fat foods and partly because we no longer eat vitamin-D-rich foods like naturally reared poultry and fatty fish such as kippers, and herring. Often we are advised to consume the egg white while the D is in the yolk or we eat the flesh of the fish avoiding the D containing skin, organs and fat. Sun avoidance combined with reduction in food sources contribute to escalating D deficiencies. Vegetarian and vegan diets are exceptionally poor or completely lacking in vitamin D predisposing to an absolute need for UV-B sunlight. Using food as one’s primary source of D is difficult to impossible. Sunlight and vitamin D are critical to all life forms. Standard textbooks state that the principal function of vitamin D is to promote calcium absorption in the gut and calcium transfer across cell membranes, thus contributing to strong bones and a calm, contented nervous system. It is also well recognized that vitamin D aids in the absorption of magnesium, iron and zinc, as well as calcium. And finally, Vitamin D helps to reduce dietary, respiratory, environmental and metabolic acidic waste. Actually, vitamin D does not in itself promote healthy bones. Vitamin D controls the levels of calcium in the blood. If there is not enough calcium in the diet, then it will be drawn from the bones to help to maintain the alkalinity of the blood plasma and the interstitial fluids of the Interstitium. Receptors for vitamin D are found in most of the cells in the body and research during the 1980s suggested that vitamin D contributed to a healthy immune system, promoted muscle strength, regulated the maturation process and contributed to healthy glandular function demonstrated by normal or tolerable levels of glandular hormone waste from the function of those specific glands. When the diet lacks calcium, whether from D or calcium deficiency, there is an increase in fatty acid synthase, an enzyme that converts calories into fat. Higher levels of calcium with adequate vitamin D inhibit fatty acid synthase while diets low in calcium increase fatty acid synthase by as much as five-fold. The assimilation and utilization of vitamin D is influenced by the kinds of fats we consume. Increasing levels of both polyunsaturated and monounsaturated fatty acids in the diet decrease the binding of vitamin D to D-binding proteins. D-binding proteins are key to local and peripheral actions of vitamin D. This is an important consideration as Americans have dramatically increased their intake of polyunsaturated oils (from commercial vegetable oils) and monounsaturated oils (from olive oil and canola oil) and decreased their intake of saturated fats over the past 100 years. In traditional diets, saturated fats supplied varying amounts of vitamin D. Thus, both reduction of saturated fats and increase of polyunsaturated and monounsaturated fats may contribute to the current widespread D deficiency. In my clinical practice, I test for vitamin-D status in all the extra-cellular fluids first. If D is needed, I try to combine sunlight exposure with vitamin D and Vitamin D3 supplementation. Thus it is important to sunbathe frequently for short periods of time, when UV-B is present, rather than spend long hours in the sun at infrequent intervals. Adequate UV-B exposure or Innerlight Ultra-Blue Light will provide needed Vitamin D for the body and can be achieved in less time than it takes to cause any redness in the skin with direct sunlight. It is never necessary to burn or tan to obtain sufficient vitamin D.
If sunlight is not available in your area because of latitude or season, Ultra Blue Light made by Innerlight Blue (www.innerlightblue.com) can be used to provide a natural balance of Ultra Blue and Ultra Violet Light. Used according to instructions, these cold laser lights provide a safe equivalent of sunlight and will not cause burning or even heavy tanning. Tanning beds, on the other hand, are not acceptable as a means of getting your daily dose of vitamin D because they provide high levels of UV-A and very little UV-B. Higher levels may be needed but should be recommended and monitored by your health care practitioner after testing serum 25(OH)D.
Clients on vitamin-D3 therapy report a wide range of beneficial results including increased energy and strength, resolution of hormonal problems, weight loss, an end to sugar cravings, blood sugar normalization and improvement of nervous system disorders. A paradoxical transient and non-complicating hyper-calciuria (more calcium in the urine) may occur when the program is first initiated. This resolves quickly when adequate calcium and other minerals are consumed. Two other temporary side effects may occur during the first several months of treatment. One is daytime sleepiness after calcium is taken. This usually resolves itself after about one week. The other condition is the reappearance of pain and discomfort at the site of old injuries, a sign of injury remodeling or proper healing, which may take some time to clear up. There are two types of vitamin D found in nature. Vitamin D2 is formed by the action of UV-B on the plant precursor ergosterol. It is found in plants and in was formerly added to irradiated cows milk. Most milk today contains D3. Vitamin D3 or cholecalciferol is found in animal foods. Both forms of vitamin D have been used successfully to treat rickets and other diseases related to vitamin D insufficiency. Many consider D3 the preferred vitamin, having more biologic activity. Vitamin D3 as found in food or in human skin always comes with various metabolites or isomers that may have biological benefit. When humans take in vitamin D from food or sunlight, it is converted first in the liver to the form 25(OH)D and then in the kidney to 1,25(OH)D. These active forms of vitamin D are available by prescription and are given to patients with liver or kidney failure or those with an hereditary metabolic defect in vitamin-D conversion. Blood Testing: Currently there are two tests available for physicians to assess vitamin-D status. One is for the somewhat biologically active precursor 25(OH)D and another for 1,25(OH)D, the most active form, which is converted in the kidney and other organs. The latter is often normal in the blood even when the precursor 25(OH)D is low or deficient. The precursor is a better marker of vitamin-D status (or reserves) than the most active 1,25(OH)D form. It is the optimum level of 25(OH)D that is most strongly associated with general good health. (The test values given in this article are for 25(OH)D.) For many years the acceptable level of 25(OH)D has been at least 9 ng/ml (23 nmol/l). Some researchers believe that 20 ng/ml (50 nmol/l) should be the lower acceptable limit72 but Dr. Vieth presents a large amount of data to support his claim that this is far from optimal.3 Optimal levels are certainly at least 32 ng/ml (80 nmol/l) and preferably closer to 40 ng/ml (100 nmol/l). Salivary pH Testing for calcium sufficiency: A method of assessing ionized calcium levels has been used by Weston Price, DDS and Carl Reich, MD and has confirmation in current research. After determining your serum-D status (testing) and undertaking a program of supplementation with vitamin D3, calcium and magnesium, morning salivary pH should read 6.8-7.8. Lower values may indicate insufficient vitamin D (retest), or low levels of calcium in the diet. Look for pH paper with a range of 5.5-8.0 and increments of 0.2 on our website at http://www.phoreveryoung.com. pH papers with 0.5-degree increments are not sensitive enough to monitor Vitamin D progress. Research from New Delhi, India is suggesting good results using Vitamin D3 in the prevention and treatment for Pancreatic Cancer and Liver Diseases. Watch the following interview with Robert Young CPT, MSc, DSc, PhD, Naturopathic Practitioner and research scientist Dr.Sargeeta Choudhury on the importance of high doses of Vitamin D3 in the prevention and treatment of pancreatic cancer. Recent headlines is now touting vitamin D3 as the new wonder supplement, with claims ranging from its ability to reduce cancer risk to its link to cognitive function in older men. While studies show connections exist, experts debate the amount of vitamin D necessary for optimal health, however. Although it remains controversial, 30 nanograms/milliliter (ng/mL) of vitamin D is associated with fewer fractures and falls, according to Karen Hansen, assistant professor of medicine within the rheumatology section at the University of Wisconsin. “Vitamin D deficiency causes osteoporosis by triggering decreased calcium absorption, secondary hyperparathyroidism, increased bone resorption and decreased bone mineral density.” Study variables and inconsistencies make further studies necessary. Currently, 700 to 800 International Units (IU) of vitamin D a day seems most effective. 1. Prabhala A, Garg R, Dandona P. Severe myopathy associated with vitamin D deficiency in western New York. Arch.Intern.Med. 2000;160:1199-203. 2. Price, Weston A. Characteristics of Primitive and Modernized Dietaries. Nutrition and Physical Degeneration. New Canaan, Connecticut: Keats Publishing, Inc 1989:256-81. 3. Vieth R. Vitamin D supplementation, 25-hydroxyvitamin D concentrations, and safety [see comments]. Am.J.Clin.Nutr. 1999;69:842-56. 4. Glerup H, Mikkelsen K, Poulsen L et al. Commonly recommended daily intake of vitamin D is not sufficient if sunlight exposure is limited. J.Intern.Med. 2000;247:260-8. 5. Glerup H, Eriksen EF. [Vitamin D deficiency. Easy to diagnose, often overlooked (see comments)]. Ugeskr.Laeger 1999;161:2515-21. 6. Diffey BL. Solar ultraviolet radiation effects on biological systems. Phys.Med.Biol. 1991;36:299-328. 7. Moan J, Dahlback A, Setlow RB. Epidemiological support for an hypothesis for melanoma induction indicating a role for UVA radiation. Photochem.Photobiol. 1999;70:243-7. 8. Ranson M, Posen S, Mason RS. Human melanocytes as a target tissue for hormones: in vitro studies with 1 alpha-25, dihydroxyvitamin D3, alpha-melanocyte stimulating hormone, and beta-estradiol. J.Invest Dermatol.1988;91:593-8. 10. Holick MF. The cutaneous photosynthesis of previtamin D3: a unique photoendocrine system. J.Invest Dermatol. 1981;77:51-8. 11. Matsuoka LY, Wortsman J, Haddad JG, Kolm P, Hollis BW. Racial pigmentation and the cutaneous synthesis of vitamin D [see comments]. Arch.Dermatol. 1991;127:536-8. 12. Matsuoka LY, Wortsman J, Haddad JG, Hollis BW. In vivo threshold for cutaneous synthesis of vitamin D3. J.Lab Clin.Med. 1989;114:301-5. 13. Season, latitude, and ability of sunlight to promote synthesis of vitamin D3 in skin. Nutr.Rev. 1989;47:252-3. 14. Pettifor JM, Moodley GP, Hough FS et al. The effect of season and latitude on in vitro vitamin D formation by sunlight in South Africa. S.Afr.Med.J. 1996;86:1270-2. 15. Webb AR, Kline L, Holick MF. Influence of season and latitude on the cutaneous synthesis of vitamin D3: exposure to winter sunlight in Boston and Edmonton will not promote vitamin D3 synthesis in human skin. J.Clin.Endocrinol.Metab 1988;67:373-8. 16. Bjorn LO, Wang T. Vitamin D in an ecological context. Int.J.Circumpolar.Health 2000;59:26-32. 17. Xue L, Lipkin M, Newmark H, Wang J. Influence of dietary calcium and vitamin D on diet-induced epithelial cell hyperproliferation in mice. J.Natl.Cancer Inst. 1999;91:176-81. 18. Moon J. The role of vitamin D in toxic metal absorption: a review. J.Am.Coll.Nutr. 1994;13:559-64. 19. Sardar S, Chakraborty A, Chatterjee M. Comparative effectiveness of vitamin D3 and dietary vitamin E on peroxidation of lipids and enzymes of the hepatic antioxidant system in Sprague-Dawley rats. Int.J.Vitam.Nutr.Res. 1996;66:39-45. 20. Wiseman H. Vitamin D is a membrane antioxidant. Ability to inhibit iron-dependent lipid peroxidation in liposomes compared to cholesterol, ergosterol and tamoxifen and relevance to anticancer action. FEBS Lett. 1993;326:285-8. 21. Bourlon PM, Billaudel B, Faure-Dussert A. Influence of vitamin D3 deficiency and 1,25 dihydroxyvitamin D3 on de novo insulin biosynthesis in the islets of the rat endocrine pancreas. J.Endocrinol. 1999;160:87-95. 22. Baynes KC, Boucher BJ, Feskens EJ, Kromhout D. Vitamin D, glucose tolerance and insulinaemia in elderly men [published erratum appears in Diabetologia 1997 Jul;40(7):870]. Diabetologia 1997;40:344-7. 23. Jacques PF, Hartz SC, Chylack LT, Jr., McGandy RB, Sadowski JA. Nutritional status in persons with and without senile cataract: blood vitamin and mineral levels. Am.J.Clin.Nutr. 1988;48:152-8. 24. Thys-Jacobs S, Donovan D, Papadopoulos A, Sarrel P, Bilezikian JP. Vitamin D and calcium dysregulation in the polycystic ovarian syndrome. Steroids 1999;64:430-5. 25. Abu-Amer Y, Bar-Shavit Z. Regulation of TNF-alpha release from bone marrow-derived macrophages by vitamin D [published erratum appears in J Cell Biochem 1994 Nov;56(3):426]. J.Cell Biochem. 1994;55:435-44. 26. Cantorna MT. Vitamin D and autoimmunity: is vitamin D status an environmental factor affecting autoimmune disease prevalence? Proc.Soc.Exp.Biol.Med. 2000;223:230-3. 27. Vogelsang H, Ferenci P, Woloszczuk W et al. Bone disease in vitamin D-deficient patients with Crohn’s disease. Dig.Dis.Sci. 1989;34:1094-9. 28. Bettica P, Bevilacqua M, Vago T, Norbiato G. High prevalence of hypovitaminosis D among free-living postmenopausal women referred to an osteoporosis outpatient clinic in northern Italy for initial screening. Osteoporos.Int. 1999;9:226-9. 29. Glerup H, Mikkelsen K, Poulsen L et al. Hypovitaminosis D myopathy without biochemical signs of osteomalacic bone involvement. Calcif.Tissue Int. 2000;66:419-24. 30. Kyriakidou-Himonas M, Aloia JF, Yeh JK. Vitamin D supplementation in postmenopausal black women. J.Clin.Endocrinol.Metab 1999;84:3988-90. 31. Uhland AM, Kwiecinski GG, DeLuca HF. Normalization of serum calcium restores fertility in vitamin D-deficient male rats. J.Nutr. 1992;122:1338-44. 32. Kinuta K, Tanaka H, Moriwake T, Aya K, Kato S, Seino Y. Vitamin D is an important factor in estrogen biosynthesis of both female and male gonads. Endocrinology 2000;141:1317-24. 33. Thys-Jacobs S. Micronutrients and the premenstrual syndrome: the case for calcium. J.Am.Coll.Nutr. 2000;19:220-7. 34. Garland CF, Garland FC, Gorham ED. Calcium and vitamin D. Their potential roles in colon and breast cancer prevention. Ann.N.Y.Acad.Sci. 1999;889:107-19. 35. John EM, Schwartz GG, Dreon DM, Koo J. Vitamin D and breast cancer risk: the NHANES I Epidemiologic follow-up study, 1971-1975 to 1992. National Health and Nutrition Examination Survey. Cancer Epidemiol.Biomarkers Prev. 1999;8:399-406. 36. Miller GJ. Vitamin D and prostate cancer: biologic interactions and clinical potentials. Cancer Metastasis Rev. 1998;17:353-60. 37. Gorham ED, Garland CF, Garland FC. Acid haze air pollution and breast and colon cancer mortality in 20 Canadian cities. Can.J.Public Health 1989;80:96-100. 38. Kleibeuker JH, Van der MR, de Vries EG. Calcium and vitamin D: possible protective agents against colorectal cancer? Eur.J.Cancer 1995;31A:1081-4. 39. Puchacz E, Stumpf WE, Stachowiak EK, Stachowiak MK. Vitamin D increases expression of the tyrosine hydroxylase gene in adrenal medullary cells. Brain Res.Mol.Brain Res. 1996;36:193-6. 40. Gloth FM, III, Alam W, Hollis B. Vitamin D vs broad spectrum phototherapy in the treatment of seasonal affective disorder. J.Nutr.Health Aging 1999;3:5-7. 41. Fujita T, Ohgitani S, Nomura M. Fall of blood ionized calcium on watching a provocative TV program and its prevention by active absorbable algal calcium (AAA Ca). J.Bone Miner.Metab 1999;17:131-6. 42. Sato Y, Kikuyama M, Oizumi K. High prevalence of vitamin D deficiency and reduced bone mass in Parkinson’s disease. Neurology 1997;49:1273-8. 43. Sato Y, Asoh T, Oizumi K. High prevalence of vitamin D deficiency and reduced bone mass in elderly women with Alzheimer’s disease. Bone 1998;23:555-7. 44. Nikiforuk G, Fraser D. The etiology of enamel hypoplasia: a unifying concept. J.Pediatr. 1981;98:888-93. 45. Taylor AN. Tooth formation and the 28,000-dalton vitamin D-dependent calcium- binding protein: an immunocytochemical study. J.Histochem.Cytochem. 1984;32:159-64. 46. Price, Weston A. Primitive Control of Dental Caries. Nutrition and Physical Degeneration. New Canaan, Connecticut: Keats Publishing, Inc 1989:326-52. 47. Price, Weston A. Prenatal Nutritional Deformities and Disease Types. Nutrition and Physical Degeneration. New Canaan, Connecticut: Keats Publishing, Inc 1989:326-52. 48. Kozielec T, Starobrat-Hermelin B, Kotkowiak L. [Deficiency of certain trace elements in children with hyperactivity]. Psychiatr.Pol. 1994;28:345-53. 49. Starobrat-Hermelin B. [The effect of deficiency of selected bioelements on hyperactivity in children with certain specified mental disorders]. Ann.Acad.Med.Stetin. 1998;44:297-314. 50. Boucher BJ. Inadequate vitamin D status: does it contribute to the disorders comprising syndrome ‘X’? [published erratum appears in Br J Nutr 1998 Dec;80(6):585]. Br.J.Nutr. 1998;79:315-27. 51. Schilli MB, Paus R, Czarnetzki BM, Reichrath J. [Vitamin D3 and its analogs as multifunctional steroid hormones. Molecular and clinical aspects from the dermatologic viewpoint]. Hautarzt 1994;45:445-52. 52. Fujita T, Okamoto Y, Sakagami Y, Ota K, Ohata M. Bone changes and aortic calcification in aging inhabitants of mountain versus seacoast communities in the Kii Peninsula. J.Am.Geriatr.Soc. 1984;32:124-8. 53. Watson KE, Abrolat ML, Malone LL et al. Active serum vitamin D levels are inversely correlated with coronary calcification. Circulation 1997;96:1755-60. 54. Sugihara N, Matsuzaki M, Kato Y. [Assessment of the relation between bone mineral metabolism and mitral annular calcification or aortic valve sclerosis-the relation between mitral annular calcification and post menopausal osteoporosis in elderly patients]. Nippon Ronen Igakkai Zasshi 1990;27:605-15. 55. Segall JJ. Latitude and ischaemic heart disease [letter]. Lancet 1989;1:1146. 56. Williams FL, Lloyd OL. Latitude and heart disease [letter]. Lancet 1989;1:1072-3. 57. MacPherson A, Balint J, Bacso J. Beard calcium concentration as a marker for coronary heart disease as affected by supplementation with micronutrients including selenium. Analyst 1995;120:871-5. 58. Krause R, Buhring M, Hopfenmuller W, Holick MF, Sharma AM. Ultraviolet B and blood pressure [letter]. Lancet 1998;352:709-10. 59. Jorde R, Bonaa KH. Calcium from dairy products, vitamin D intake, and blood pressure: the Tromso Study. Am.J.Clin.Nutr. 2000;71:1530-5. 60. Rostand SG. Ultraviolet light may contribute to geographic and racial blood pressure differences [see comments]. Hypertension 1997;30:150-6. 61. Zemel MB, Shi H, Greer B, Dirienzo D, Zemel PC. Regulation of adiposity by dietary calcium. FASEB J. 2000;14:1132-8. 62. Bell NH, Epstein S, Greene A, Shary J, Oexmann MJ, Shaw S. Evidence for alteration of the vitamin D-endocrine system in obese subjects. J.Clin.Invest 1985;76:370-3. 63. Buffington C, Walker B, Cowan GS, Jr., Scruggs D. Vitamin D Deficiency in the Morbidly Obese. Obes.Surg. 1993;3:421-4. 64. Liel Y, Ulmer E, Shary J, Hollis BW, Bell NH. Low circulating vitamin D in obesity. Calcif.Tissue Int. 1988;43:199-201. 65. Wortsman J, Matsuoka LY, Chen TC, Lu Z, Holick MF. Decreased bioavailability of vitamin D in obesity. Am.J.Clin.Nutr. 2000;72:690-3. 66. Bouillon R, Xiang DZ, Convents R, Van Baelen H. Polyunsaturated fatty acids decrease the apparent affinity of vitamin D metabolites for human vitamin D-binding protein. J.Steroid Biochem.Mol.Biol. 1992;42:855-61. 67. Garssen J, Norval M, el Ghorr A et al. Estimation of the effect of increasing UVB exposure on the human immune system and related resistance to infectious diseases and tumours. J.Photochem.Photobiol.B 1998;42:167-79. 68. Amento EP, Bhalla AK, Kurnick JT et al. 1 alpha,25-dihydroxyvitamin D3 induces maturation of the human monocyte cell line U937, and, in association with a factor from human T lymphocytes, augments production of the monokine, mononuclear cell factor. J.Clin.Invest 1984;73:731-9. 69. Aslam SM, Garlich JD, Qureshi MA. Vitamin D deficiency alters the immune responses of broiler chicks. Poult.Sci. 1998;77:842-9. 70. Corman LC. Effects of specific nutrients on the immune response. Selected clinical applications. Med.Clin.North Am. 1985;69:759-91. 71. Muller K, Bendtzen K. 1,25-Dihydroxyvitamin D3 as a natural regulator of human immune functions. J.Investig.Dermatol.Symp.Proc. 1996;1:68-71. 72. Barger-Lux MJ, Heaney RP, Dowell S, Chen TC, Holick MF. Vitamin D and its major metabolites: serum levels after graded oral dosing in healthy men. Osteoporos.Int. 1998;8:222-30. 73. Rehak NN, Cecco SA, Csako G. Biochemical composition and electrolyte balance of “unstimulated” whole human saliva [In Process Citation]. Clin.Chem.Lab Med. 2000;38:335-43. 74. Talbot JR, Guardo P, Seccia S et al. Calcium bioavailability and parathyroid hormone acute changes after oral intake of dairy and nondairy products in healthy volunteers. Osteoporos.Int. 1999;10:137-42. 75. Heaney RP, Dowell MS, Barger-Lux MJ. Absorption of calcium as the carbonate and citrate salts, with some observations on method. Osteoporos.Int. 1999;9:19-23. 76. Chesney RW. Vitamin D: can an upper limit be defined? J.Nutr. 1989;119:1825-8. 77. Duhamel JF, Zeghoud F, Sempe M et al. [Prevention of vitamin D deficiency in adolescents and pre-adolescents. An interventional multicenter study on the biological effect of repeated doses of 100,000 IU of vitamin D3 (see comments)]. Arch.Pediatr. 2000;7:148-53. 78. Davies PS, Bates CJ, Cole TJ, Prentice A, Clarke PC. Vitamin D: seasonal and regional differences in preschool children in Great Britain [published erratum appears in Eur J Clin Nutr 1999 Jul;53(7):584]. Eur.J.Clin.Nutr. 1999;53:195-8. 79. Mariani E, Ravaglia G, Forti P et al. Vitamin D, thyroid hormones and muscle mass influence natural killer (NK) innate immunity in healthy nonagenarians and centenarians [published erratum appears in Clin Exp Immunol 1999 Jul;117(1):206]. Clin.Exp.Immunol. 80. Enig, Mary G. Modification of Membrane Lipid Composition and Mixed-Function Oxidases in Mouse Liver Microsomes by Dietary Trans Fatty Acids. 1984. University Microfilms International. Ann Arbor, Michigan. 81. Thys-Jacobs S. Vitamin D and calcium in menstrual migraine. Headache 1994;34:544-6. 82. Heaney, RP et al. J of Bone and Mineral Research, 5:11;1990 p. 1135-1137. Harvested from the sea or wrested from the earth, salt would appear to be one of the humblest commodities. Yet the sodium it contains is a life-sustaining element. Sodium chloride is essential in the nutrition and physiological processes of all animals including man. From long before the first written word, there are repeated references in records and stories to the importance of salt as an essential in the daily diet. Salt has not only ensured the survival of mankind, but colored the species food, religions, politics and superstitions. In ancient times, because of its power to preserve and purify, salt was spilled upon legal documents to symbolize enduring agreement and freedom from deceit. Mans effort to obtain salt can be traced back through history for salt has always been essential to human life. Ancient manuscripts tell us that more than 5000 years ago the Chinese obtained salt by boiling and evaporating the ash from seaweed. Later, people along the Mediterranean and Red Seas discovered that when seawater was evaporated by the sun, salt was left behind. This was the start of salt manufacturing and the same method of solar evaporation is used today in the production of many salts around the world. Many of salt’s applications, including salting of fish and meat to preserve it, have remained almost unchanged down through the millennia. Its place in our superstitions and sayings remains entrenched. Enshrined in the World’s many cultures and a vital part of global economies, salt is as essential to life as the air we breathe and the water we drink. Surely there can be no product purer, more natural or environmentally friendly than salt – pure salt water provided and evaporated by Nature, harvested to perfection by Man. Rapid boiling is still used today but the open pans have been replaced by closed vessels, outputs have increased and the salt these plants produce has a uniform cubic crystal shape. North Shore salt beds. The raw material for this salt is the combination of the snow melt run off from theRocky Mountains in northern Utah and the salty North Shore waters of the Great Salt Lake at the base of the Rocky Mountains. These waters are evaporated using the natural processes of sun and wind. From this, a colloidal salt is produced to feed the open evaporating salt beds for making the worlds only 26% colloidal liquid mineral salt we call Young pHorever pH Miracle pHlavor mineral salts! 1) Our bodies contain almost 450 grams of salt and each day we need to replenish the salt used by our bodies to maintain our normal health, vigor and alkaline design. 2) Salt plays a big part in helping the body to digest food and turn them into living tissues, as well as helping to transmit nerve impulses that contract the muscles. In order for the cells of the body to function normally, a salt/water balance must be maintained. Salt is also necessary for making the sodium bicarbonate the body needs to alkalize the food we eat to maintaining the alkalinity of the blood and lymph fluids. 3) pHorever Young pH Miracle pHlavor colloidal mineral salt tastes great. Minerals present naturally in the salt from the Great Salt Lake North Shore as well as the crystal shape enhances its flavor therefore the salt can be used more sparingly. 4) pHorever Young pH Miracle pHlavor colloidal mineral salt contains higher levels of calcium and magnesium than normal sea or table salts, as these minerals are also naturally present in the Great Salt Lake North Shore water. Some people believe that this balance of minerals has beneficial effects on the body. Certainly we believe these minerals help enhance the taste of the pH Miracle pHlavor colloidal mineralsalt – taste it and compare to your current salt. 5) When you are tired and/or fatigued and need energy that is the need for salt. All sugar cravings are the need for salt. 6) Salt is the ion of life in which all energy is transported. Without salt there is no life. 7) Salt is what keeps the spirit body connected or joined with the physical body and mental body. 1) pHorever Young pH Miracle pHlavor colloidal mineral salt is an evaporated salt that produces a unique three dimensional crystal, it is produced by being very slowly evaporated naturally by the sun, allowing the formation of a 26% concentration of a heterogeneous mineral salt solution. The concentration of this salt is greater then the Dead Sea. 2) It is a very light textured salt with a delicate flavor. The taste is created by the unique crystal size and shape of the Young pHorever pH Miracle pHlavor colloidal liquid mineral salt. 3) Excellent for spraying on top of foods as its light texture means it ‘sticks’ better – ideal in particular for salting salads and other vegetables! The Edge in Professional Sports Goes to Those Who Follow The pH Miracle Lifestyle and Diet! 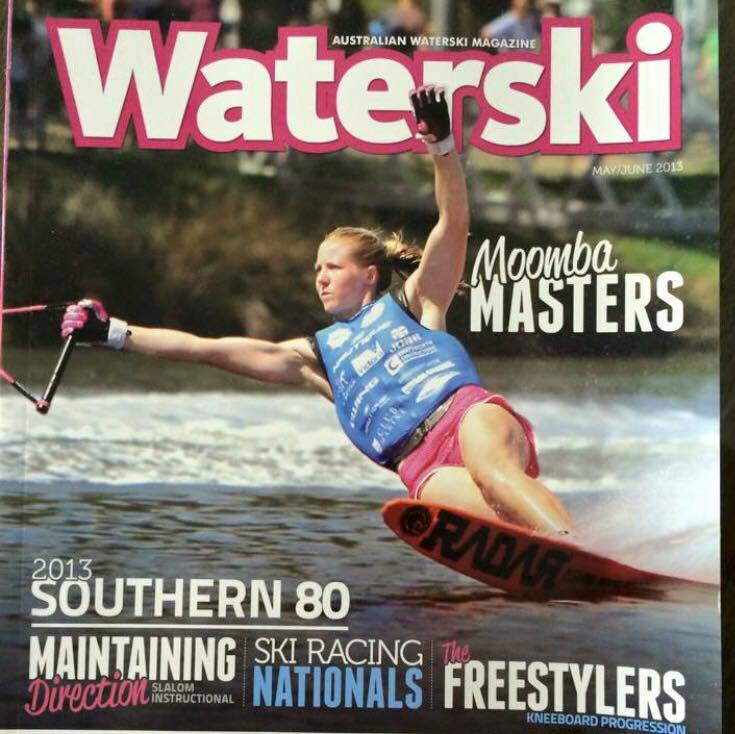 The Cover Story in Waterski Magazine is Waterskiing Sensation Whitney McClintock – Alkaline Athlete – Women’s World Water Ski Champion at competition in Australia right now! Read The pH Miracle revised and updated and coming soon The pH Miracle for the Athlete! The Truth About Alkalizing Your Blood, Interstitial and Intracellular Fluids! The following article is Dr. Robert O. Young’s rebuttal to Dr. Ben Kim’s felacous statements concerning the bio-electro/chemistry of the blood and tissues. Dr. Robert O. Young states: If pH of the blood plasma drops below 7.365 the result is called decompenated acidosis. If the pH of the blood plasma stays at the ideal 7.365 this is called compensated acidosis. And if the pH of the blood plasma increases above the 7.365 this is called “latent tissue acidosis” in the interstitial fluids of the colloidal connective tissues of the schade. Intracellular fluid, is the fluid found in all of your cells. Intracellular fluid is often called cytosol, and makes up about two-thirds of the total amount of fluid in your body. I have found in my own blood research that when your pH is stable at 7.365 you find healthy blood which is even in color, even in size and even in shape. The red blood cell is the primary stem cell which becomes all other body cells. And the health of the blood and the interstitial fluid of the colloidal connective tissues of the shcade is directly connected to the health of all body cells. It is blood that becomes, liver, heart, brain and skin cells. All red blood cells and then body cells are made up of microzymas. Microzymas are the foundational, indestructable matter and intelligent matter that makes up all living cells, including the DNA. The tiniest changes in the pH of the body fluids can cause the microzymas in the red blood cells or body cells to change into bacteria, yeast and/or mold. This is how germs are created – from within NOT from without. Dr. Robert O. Young states – All food and drink which has a pH of less than 8.4 will cause the production of sodium bicarbonate by the stomach and the release of this sodium bicarbonate via the salivary glands, the pylorus glands, the pancreas, gall bladder and intestinal glands to alkalize whatever ingested. The main purpose of stomach is to prepare the food in a liquid state at a pH of 8.4 for biological transformation into stem cells which takes place in the crypts of the small intestines. Dr. Robert O. Young states: There are seven main sources at work on a daily basis that can disrupt the pH of your body fluids – these forces include acids from the external environment, acids from the foods and liquids ingested, acids from the air you breath, acids from metabolism, acids from cells breaking down or catobolic acitivity, acids from endogenous bacteria, yeast and mold, and acids from respiration. Your body has an elaborate alkalizing buffering system at work at all times to help prevent through chelaton these forces from shifting the pH of the blood plasma pH as well as the interstitial fluid pH at a delicate pH of 7.365. It is important to note that when the alkaline buffering system (a new organ discovered by Dr. Robert O. Young) becomes depleted and acids are being deposited into the interstitial fluids of the colloidal connective tissues and the fatty tissues this is when dis-ease and eventual disease manifests. Dr. Kim Ben states: Your health is best served by a good mix of nutrient-dense, alkaline andacid-forming foods; ideally, you want to eat more alkaline-forming foods than acid-forming foods to have the net acid and alkaline-forming effects of your diet match the slightly alkaline pH of your blood. 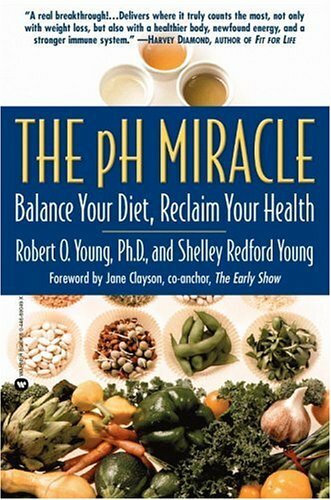 For additional information read The pH Miracle Revised and Updated by Dr. Robert O. Young .